Please note that this current website does not have a shopping cart. To buy our Moose Skins online, please go to our e-commerce website at NaturalExotics.ca. Occasionally, we have the opportunity to purchase a full, tanned moose hide. In general, the skins are cut into quarters in order for the hunters to get them out of the woods. 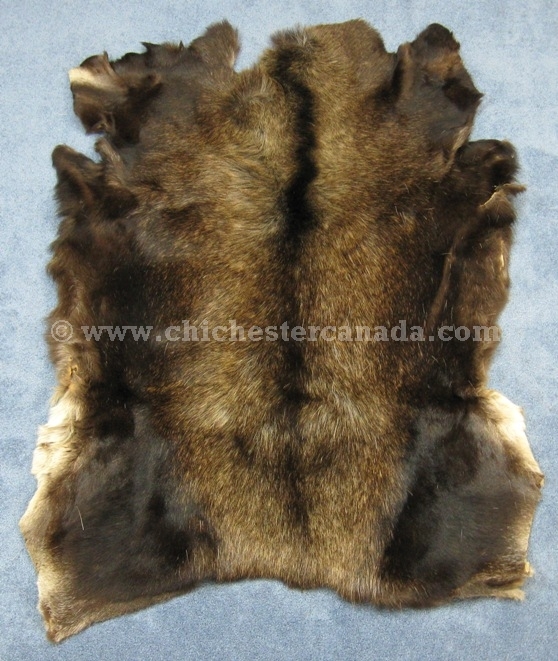 We do not usually stock full moose skins, but if you know that you are looking for one, we can do our best to obtain a full hide. Please allow up to one year for us to get the full hide. We can often get half skins much faster and can offer tanned moose quarters at various times of the year. We also have hair-on moosehide pieces, which come in various sizes. These are ideal for craft projects.